We’ve been so busy with the charity fund raiser recently, it’s been difficult to find time to write up what’s been going on with the breeding project. 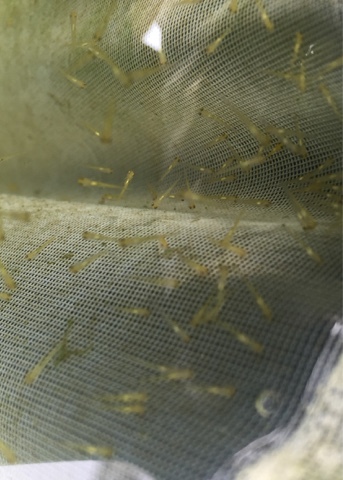 - Both fry ponds outside are in great condition to take new hatchlings; except for a problem with ducklings. 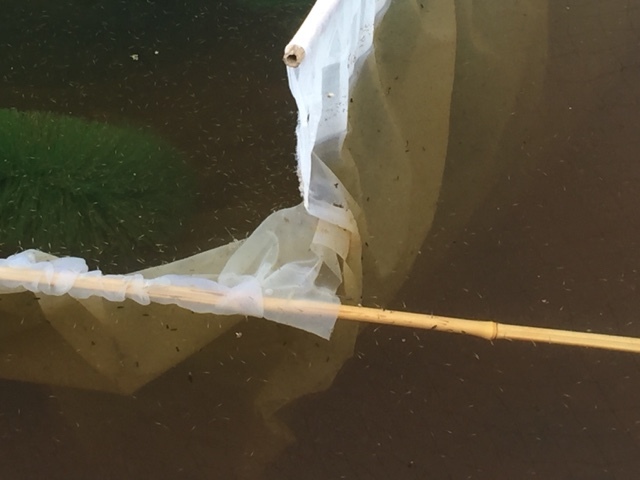 We’ve been rearing ducklings in our fry ponds more successfully than koi! 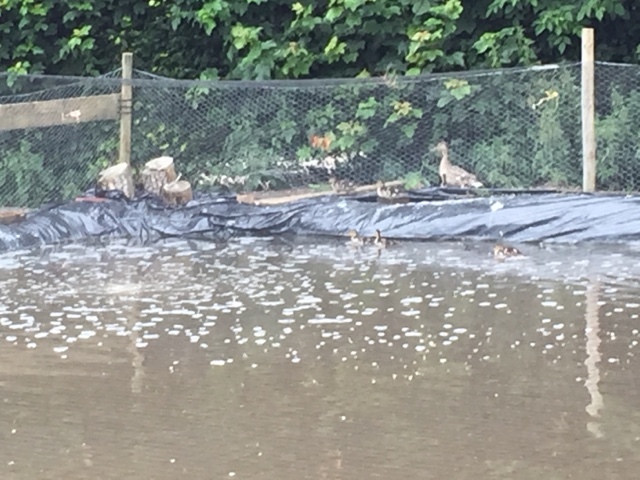 Not something we want to continue with…..
- It took ages to find and repair all the small holes in the fence surrounding the ponds, but we finally got there and the ducks are out! Let’s hope that’s final. 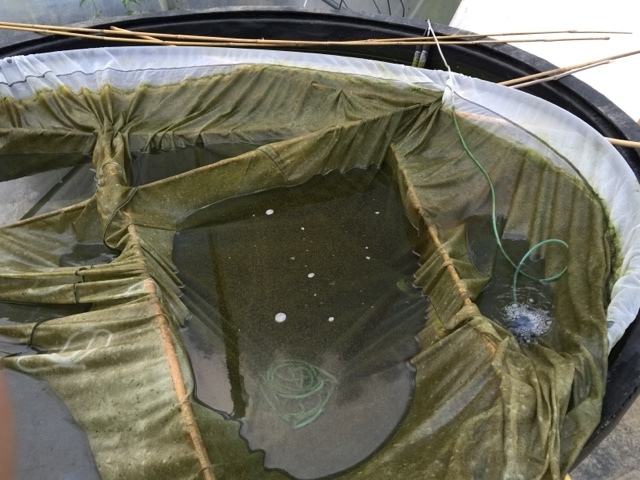 - The spawning was successful, and we split the eggs across two tubs in the polytunnel, and one cage net suspended in one of the ponds outside. Moved around 7 or 8 bucket loads like this. 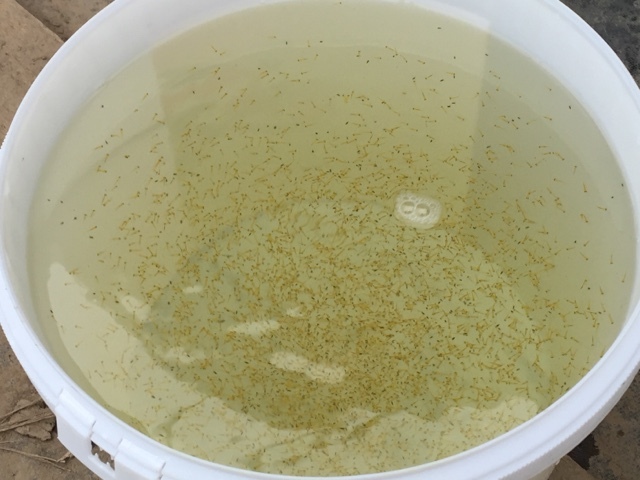 - That leaves me with 10’s of thousands of hatchlings in the other black tub inside. 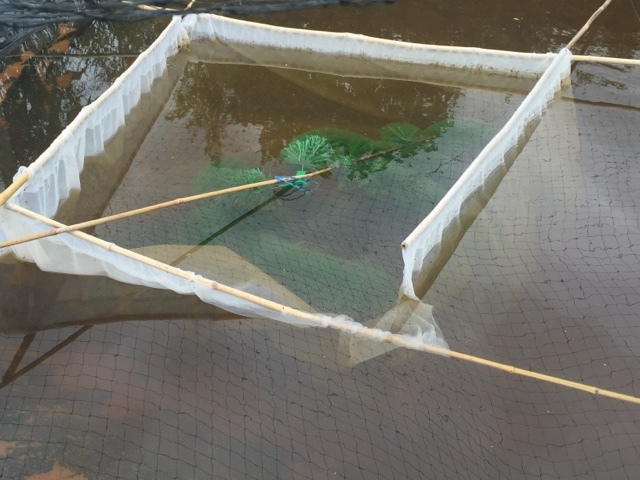 Currently, we’re keeping them going – but we’re tired after a busy few months and with both ponds outside full of hatchlings – we’ll settle for that. And for the spare ones inside, we’ll either use them to repopulate a pond outside if something goes wrong out there; or sell them. - Overall – I’m chuffed to bits that we’ve successfully spawned ‘Sharkey’ – it’s taken me 3 years, and it was the 5th spawning attempt with her! - The fry from my May spawning are coming along slowly; colour and pattern wise, I’m optimistic. Just wish we could have reared more of them. 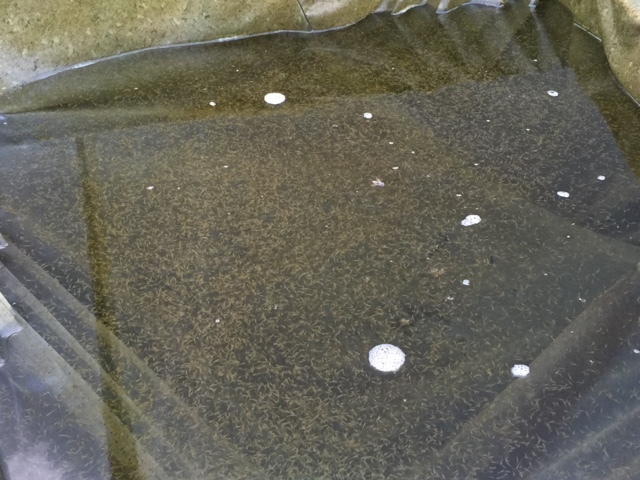 If both ponds outside had been ready back in May – I’d have stood a good chance of rearing enough from this proven brood set to challenge for a 3rd in a row baby champ award next year. As things stand – I’m not in a good place for that. 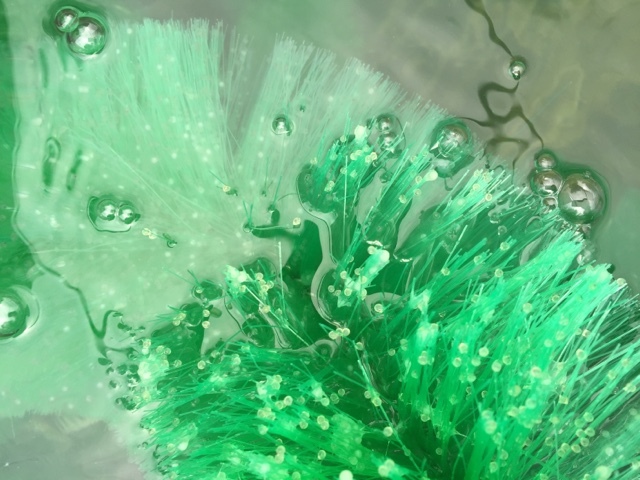 On the upside – if we didn’t have the contingency plans in place, I’d have lost the whole spawning. 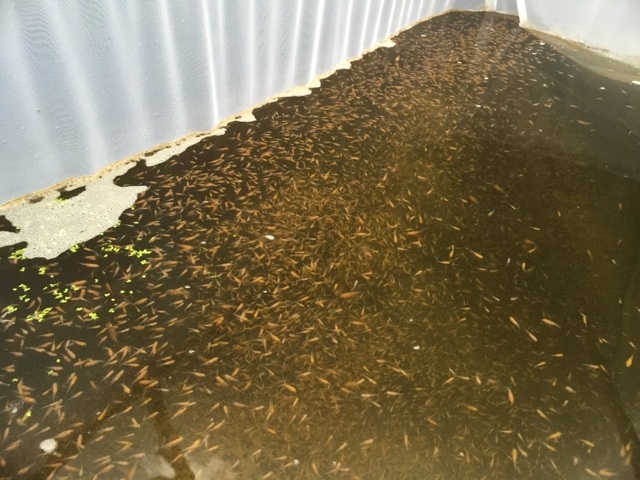 And at least a few thousand koi remain…..
- Another upside – I may have stumbed on a way of cycling the ponds faster for a second use situation. 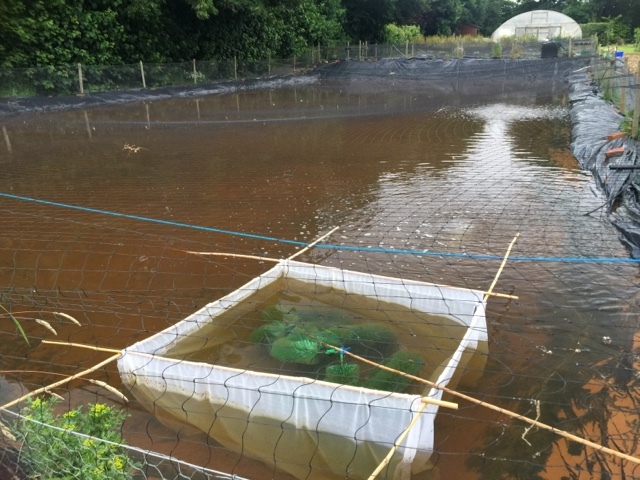 There’s always the risk of another ‘Loch Ness Shiro’ event – but I see the slim opportunity to use our ponds for a 3rd time this summer, and I’m going to try and take it. 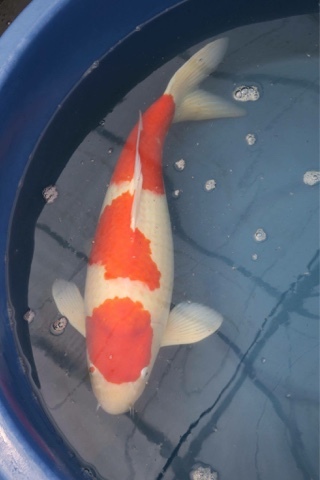 - I’ve brought home my new 3 step female kohaku from Takigawa, purchased from Mike Snaden at Yume Koi. We’ll give her a run out in the spawning vat late July / early August. They look cute, and they make lots of cute little chirping noises. Not very helpful for my project though, because they are eating my precious fry !